Volvo Ocean Race – Abu Dhabi – Abu Dhabi Ocean Racing ha scelto: a disegnare il primo VOR 70 commissionato da uno sfidante medio orientale alla Volvo Ocean Race sarà la Farr Yacht Design. La notizia è stata confermata dalla stessa Autorità per il Turismo dell’emirato arabo: “La Farr Yacht Design è stata scelta per la grande esperienza e perchè non ha mai cessato il suo impegno nella ricerca dopo la fine dell’edizione 2008-2009 – ha commentato Mubarak Al Muhairi, direttore generale dell’ente – Ora non resta che indicare chi sarà il costruttore della barca: ci sono sei cantiei in lizza, dislocati in Europa, Medio Oriente e Asia”. La Farr Yacht Design è stata protagonista dell’ultima Volvo Ocean Race in quanto designer ufficiale degli scafi del team Telefonica. A guidare l’azienda è Patrick Shaughnessy che racconta: “In preparazione della precedente sfida, ogni membro del nostro design team spese molto tempo navigando sui VOR 70. E’ stata un’esperienza molto formativa, utile a sviluppare i nostri strumenti di ricerca e sviluppo. Ora, per il 2011-2012, sappiamo che sarà una sfida di livello ancor maggiore e siamo altrettanto convinti che seguire un piano ben definito, affidato a persone di grande esperienza, possa dare vantaggi non indifferenti ai singoli team. In questo Abu Dhabi Ocean Racing ha fatto molto bene nominando uno skipper esperto come Ian Walker: crediamo davvero ci siano le basi per fare bene”. In merito alle modifiche introdotte nel regolamento di classe, Shaughnessy è convinto che a potersi rivelare decisiva sarà la norma relativa alla limitazione nel numero delle vele: “Si potranno realizzare molte vele in meno rispetto all’ultima edizione. Sarà un aspetto da tenere in grande considerazione mentre penseremo al piano velico della barca: un errore o una valutazione sbagliata potrebbe avere grosse ripercussioni sull’esito finale della sfida”. Oltre alla nomina di Walker, l‘Adu Dhabi Ocean Racing ha scelto anche il Direttore Tecnico. Si tratta di Jason Carrington, già protagonista di cinque campagne di Volvo Ocean Race. A breve il team renderà noti i nomi di altri elementi chiavi del gruppo di lavoro: due appartenenti allo shore team e uno, di nazionalità UAE, al sailing team. [Team Abu Dhabi Press Release] US-based Farr Yacht Design, one of the world’s foremost racing-yacht design teams, has been appointed to develop Abu Dhabi Ocean Racing’s Volvo Open 70 for the 2011-12 Volvo Ocean Race, representing a major boost to the Abu Dhabi Tourism Authority-backed outfit’s title ambitions. With more than 25 years experience, Farr Yacht Design-designed racing yachts have won more than 40 World Championships and have achieved a multitude of successes at international grand prix events including the Volvo Ocean Race, America’s Cup, Vendee Globe, Sydney Hobart Yacht Race, Barcelona World Race, Transat Jacques Vabre, Copa del Rey and many others. Farr Yacht Design is undertaking a five-stage research & design process with the final geometry to be completed for a late September build start. Farr Yacht Design’s appointment comes hard-on-the-heels of Abu Dhabi Tourism Authority’s announcement that two-time Olympic medallist, Ian Walker of Great Britain, will skipper Abu Dhabi Ocean Racing. Walker will also play a key role during the research and design of Abu Dhabi Tourism Authority’s Volvo Open 70 racing yacht, drawing on years of practical experience to give the team a competitive edge in the nine-months of intense, head-to-head sailing over the 39,000 nautical mile course. The Farr Yacht Design team – led by the company’s President, Patrick Shaughnessy – brings significant expertise to the table, having worked extensively with the Telefonica team in the 2008-09 Volvo Ocean Race – an experience it believes is critical to making Abu Dhabi Ocean Racing a competitive force. “In preparation for and during the 2008-2009 Volvo Ocean race, every member of the Farr Yacht Design team spent considerable time sailing Volvo Open 70s. The experience we gained has allowed us to view the design challenges a little bit differently. That real world experience adds to an always evolving set of tools that we bring to bear on any R&D project,” said Shaughnessy. One of Farr Yacht Design’s key challenges is to adapt to the 2011-12 campaign rule changes, namely sail number restrictions – something the company is confident of achieving. “The largest change comes from the restriction on the number of sails a team can use. These restrictions place a large priority on sail inventory planning, and ultimately sail reliability. The choices we make during the design process regarding sail inventory have large consequences for the way the yacht will be used throughout the race,” added Shaughnessy, who has a 14 year competitive sailing pedigree and 21 years design experience with Farr Yacht Design. Abu Dhabi Tourism Authority has also contracted Jason Carrington of Great Britain as Abu Dhabi Ocean Racing’s Technical Manager. Carrington – who has helped build five Volvo Ocean Race yachts, has project managed three campaigns and competed in more than 30 top-tier events globally – is a major addition to the team’s on-shore and competitive race credentials, bringing with him a unique insight into all aspects of the demanding campaign. 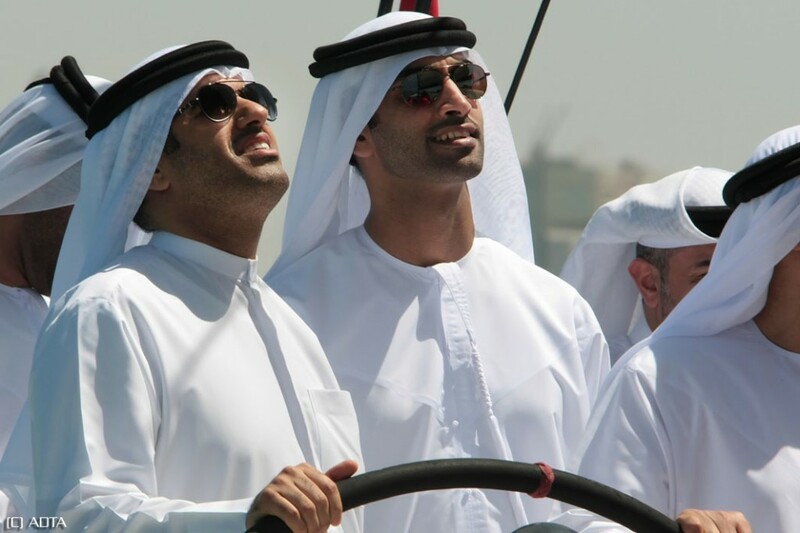 Abu Dhabi Tourism Authority and Walker are also currently in the final stages of appointing the team’s other crew members, and are committed to including a UAE national in the Sporting Team and another two on the Shore Team. An open selection process will begin this month in the emirate. Plans are also being progressed with Abu Dhabi stakeholders for the UAE capital’s New Year 2012 hosting of the Volvo Ocean Race, when it sails into the sport’s record books as the first Middle East stopover in the event’s 37-year history. The 2011/2012 race will start in Alicante, Spain, in October 2011 and end in Galway, Ireland, in the summer of 2012. The Volvo Open 70 racing yacht is sailed by professional athletes, who race around the world with the prevailing winds in what is widely regarded as the ‘Everest of Sailing’.